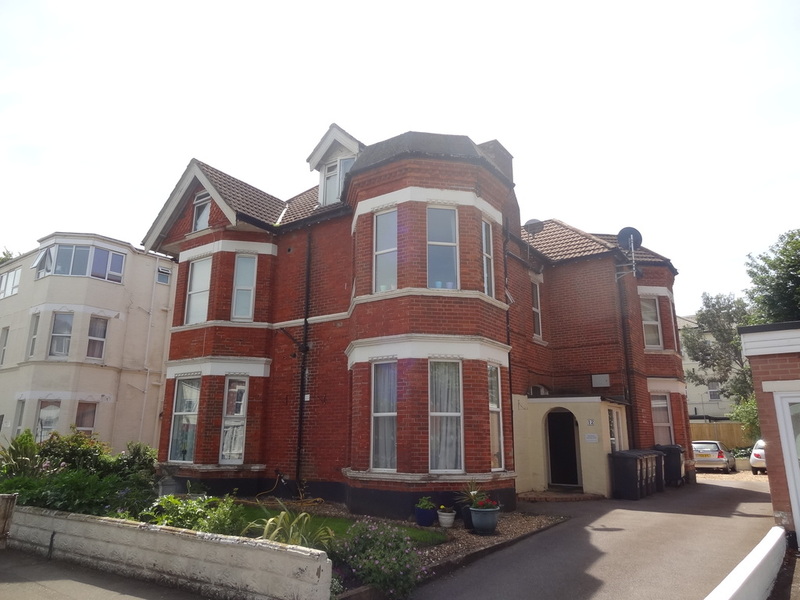 A FIRST FLOOR STUDIO FLAT WITH LOVELY CURVED BAY WINDOW AND OFF ROAD PARKING SET IN A QUIET POSITION SOUTH OF CHRISTCHURCH ROAD, BETWEEN THE BEACH, BOSCOMBE PIER AND THE HIGH STREET SHOPS. 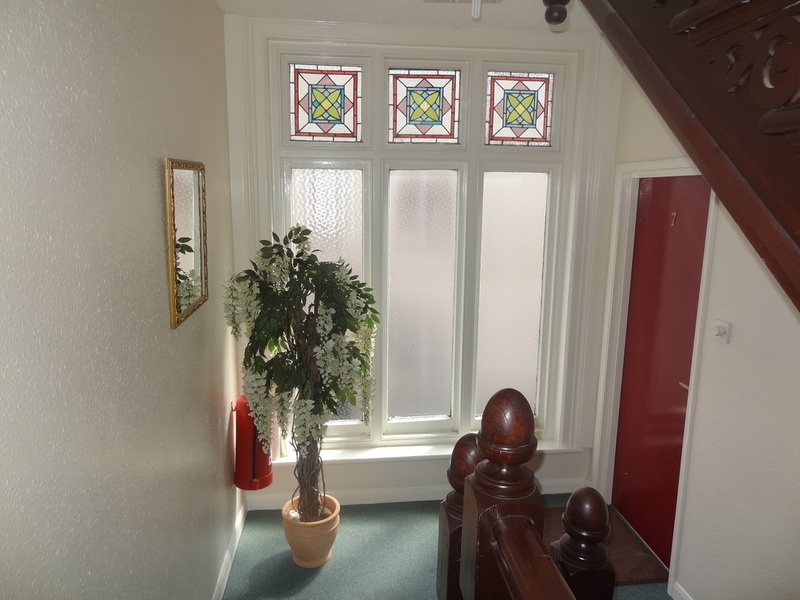 A secure front door leads to communal hallway and stairway to first floor landing. Front door to flat leads to entrance lobby with cloak storage cupboard, doors to bathroom and living/bedroom. The room is arranged in two areas as the living area with sofa etc to one side and the bed by the curved bay window. To the right hand side is an alcove for providing a kitchenette. Modern white suite comprising bath with shower over. Pedestal wash basin and close coupled WC. Tiled walls, extractor fan. To the front the property is approached from the road by a tarmacked driveway which leads along the right hand side of the property, past the front door, and then through to the rear where there is a parking area with off road parking which is unallocated. There is additional free road parking in Argyll Road just outside.